Correction: The original deadline for proposals was Nov. 14, 2018. 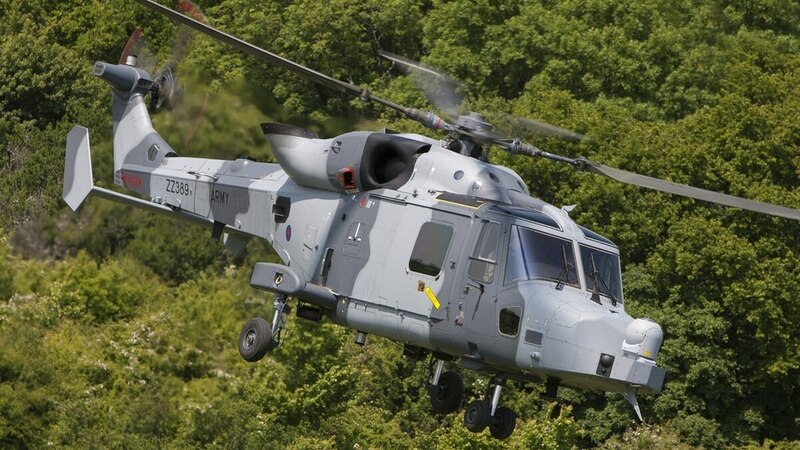 SEOUL — It looked like Italy’s aerospace group Leonardo was going to be an easy winner for South Korea’s second batch of anti-submarine helicopters. The procurement program would seek 12 more AW159 Wildcat helicopters, with no other competitors for the $840 million program. But the Defense Acquisition Program Administration, or DAPA, threw a curveball, deciding to accept a U.S. proposal for an alternate option and begin the competitive bidding process from scratch. The plan for the maritime operational helicopter, or MOH, was originally to sign a direct commercial deal with a foreign helicopter maker, with three bidders — Leonardo, Lockheed Martin and NH Industries — showing interest. The two latter contenders failed to submit their proposals by the Nov. 14 deadline, leaving Leonardo seemingly as the only remaining bidder. According to sources from DAPA, however, soon after the deadline the U.S. government sent a letter of price and availability of Lockheed Martin’s MH-60R Seahawk, causing South Korea’s arms procurement officials to rethink the acquisition approach. As dictated by acquisition regulation, two successive failed bids mean the agency can make a private contract with a sole bidder; but that’s not mandatory. The agency is expected to issue a renewed request for proposals as early as March, according to DAPA officials. Leonardo would be a direct buy, while the Sikorsky bid would be a foreign military sale. A Leonardo spokesman said the AW159 is optimized for the Korean theater of operations, pointing to an active electronically scanned array radar for detecting North Korea’s coastal weapon system and a missile firing range that is more than three times longer than Seahawk. Pundits here expressed different reactions to the renewed MOH bidding process. Shin In-kyun, head of Korea Defense Network, a Seoul-based private defense think tank, said it’s a better opportunity to acquire state-of-the-art naval helicopters with better performances. Shin Jong-woo, a senior analyst at the Korea Defense and Security Forum, said an FMS deal may not guarantee economic benefit for South Korea. The South Korean Navy currently operates eight AW159s acquired under a 2012 deal. The helicopters fly missions aboard KDX-series destroyers and Incheon-class guided-missile frigates. The service plans to commission at least 12 more new frigates fitted with a flight deck and a hangar that can accommodate one Lynx helicopter.